Today (Thursday), the Bluegrass Community Foundation will be donating $20,000 to the organization that gets the most individual donations of $25 or more between 9 AM and 9 PM. I wouldn't have thought this at the beginning of the challenge, but seeing the support we have received so far makes me believe we have a real shot at winning this $20,000. That’s why I'm asking for your help to make it happen. I am asking you to reach out personally to two or three friends: tell them about KEJC, our important work, and the opportunity to add $20,000 to our donations TODAY. If you wanted to donate, too, that would—of course—be awesome. Kentucky Equal Justice Center is a nonprofit law firm in advocacy organization in Kentucky. They represent immigrants, low income Kentuckians, Medicaid recipients, workers, and consumers in courts across the Commonwealth and lobby for vulnerable Kentuckians in Frankfort. Every person who donates through my fundraising page will receive a thank you “gift” for donating. I have joked on Twitter that when I tell my friends what this fundraising “bencentive” is they have called it “reprehensible” and “a thought crime.” They’re not wrong, but you have to get the "prize." Here's a sneak peak. Thank you so much. We have a lot of work to do in Kentucky and it feels good to know that were doing it together. As many of you know, on Saturday night a two-car collision (yes, again) at the corner of Shelby and Breckinridge ended with one of the cars hitting 900 S. Shelby Street (yes, again). This time, the car’s back end struck the storefront columns and doors. My understanding is that everyone walked away from the collision that evening, though I don't presume that means that no one was hurt. With notice from the police and some folks from Girls Rock Louisville who were recording a podcast at the time, I was able to secure the building that night and clean up the debris that was everywhere in the conference room. The building is structurally sound and the conference room is usable. There is serious buckling of the floor underneath the TV, so I have placed a coffee table over it to avoid people tripping on the buckling. Nevertheless, please be careful and watch your step. The security system is still working throughout the building and the 900 conference room is still being monitored. Nevertheless, while the boarding arguably makes 900 more secure, please be circumspect about leaving valuables about. I will be taking steps in the next few days to weatherproof the entryway and reduce the sound of road noise in the conference room. I will add some curtains on the inside to make the space look nicer, yes, but more importantly, these should improve climate control and reduce road noise while we make repairs. In the meantime, the conference room in 902 may be a more comfortable space in which to meet. The repairs to the masonry are expected to take 4-5 weeks. The two concrete columns were both moved a few inches in and must be replaced. After that, we will replace the doors as quickly as possible. I hope to have temporary repairs to the flooring in place this week. Four to five weeks is a huge bummer, but on the plus side the conference room now smells deliciously of freshly-sawed lumber. Thing One: There is a plan in place to convert Shelby Street from a one-way to two-way street. As you know, this is the fourth or fifth collision at this exact intersection in the last year (that I know of). It is the second collision to end with a car hitting our building. The intersection is not safe and it is only a matter of time until someone (a pedestrian, likely) is seriously injured or worse in a collision here. I will be writing the City to a) inform them of these specific collisions and express my concern regarding the safety of the intersection and b) request more information on the timeline of the conversion of Shelby Street to a two-way street. Many studies and Louisville’s own experience in Old Louisville shows that two-way streets are safer and reduce motorists’ speeds. I will let you know what I learn from the city on what timetable we and the neighborhood can expect regarding the conversion. I consider this an urgent matter. I have been thinking of Branden Klayko a lot in the past two days. One of the last things he wrote was “A short history of Louisville motorists driving their cars into buildings.” I encourage you to read it; like almost everything Branden wrote, it is exhaustively researched and helps the reader gain a deeper insight into the issue. Obviously, Louisville has a long way to go to increase safety for pedestrians and motorists. Thing Two: We now have an 8’x8’ plywood canvas on our highly visible storefront. If you or anyone you know has art or a message in them that they would like to show Louisville for the next 4-5 weeks, let me know. Thing Three: This is really the most important thing. THANK YOU! Thank you for investing your time, energy, and money in this space. Not every building owner has the resources/tenants to help them recover quickly from damage like this. And, those who have the money don’t always have the incentive to fix the damage ASAP. But, because of you, Sarah and I have both the money and incentive to fix this pile of bricks quickly. That’s a real blessing. We want the building to work for you in the meantime, so if there is something I can do, please let me know. Last year, about two dozen attorneys gathered at Natural Bridge State Park to make friends and learn about the work of other do-gooder public interest and private attorneys in Kentucky. We're getting together again in a couple of weeks. To join us, do the "To the Woods Two-Step" today! Step One: Call Natural Bridge State Park or book your room or cabin online. If you call (606-663-2214), the name to give for our block of rooms is "Commonwealth Justice." If you book online, the group code is 2022. Step Two: Send me an RSVP to let me know you're coming. Refresher: Do-gooder public interest and private attorneys are getting together for a second year on from January 12-15, 2018 (Martin Luther King, Jr. weekend) for some hiking, board games, commiserating, and collaborating. You can attend for a day or all weekend. This is a family-friendly event with the main goal of meeting and becoming friends with other people who are using their law degrees to try to help the most vulnerable and kicked-around people in Kentucky. If you know someone who would be interested in a weekend like the one we had last year only better, please send those lawyers a link to the Google form above and ask them to fill it out. Looking forward to seeing everyone again or for the first time. It's taken longer than I thought to find tenants for the buildings' various nooks and crannies. And, it's been way more expensive than I thought to make the improvements to the buildings that we've made. Some of the best things that I've done in my life are things I never would have done if I'd known what I was getting myself into. Thank goodness for ignorance, I guess, and Stephen Kertis who encouraged me to move to Smoketown in the first place. I've started thinking of the mix of a dozen or so businesses, nonprofits, and artists using our space as The Smoketown Collective. It's organizations advocating for undocumented people living in our communities, helping kids get a extra boost with summer programming. People bringing the chillest, freshest music to our town and folks gathering to support one another as they move off the street and into permanent housing. It's a place I like to spend time almost every day of the week because while the work we do differs, it feels like we're all pulling in the same direction. While I can credibly fly the "No Vacancy" flag outside our buildings, if you are an individual or organization looking to rent office space or needing one-off meeting space, get in touch using the form in this post. Depending on your needs, we may be able to squeeze you in somewhere, somehow. Plus, we may have vacancies in the future. 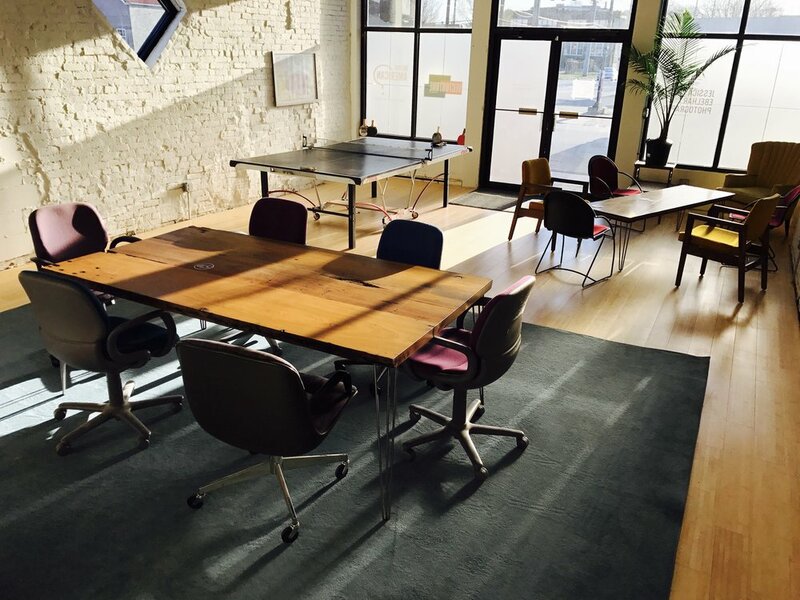 And, hey, even if you're not a tenant, we may still be able to make a one-off event or meeting work in the space. I'm really happy that some nonprofits and community groups have started using our conference rooms to meet and organize even though they're not technically tenants. Also, one of the things I'm pretty excited about is our podcast studio. If this is something you could use, be in touch. We have three good microphones and a soundboard. BYOComputer. Right now, My Old Kentucky Podcast records out of The Smoketown Collective, but I'd like that to expand to other shows. Here's a slideshow of the evolution of the buildings over the last two years. Man, it's been a ton of work. This is the conference room on the day we moved in. Back room of 902 S. Shelby. We have replaced the ceiling furnace and window A/C with modern HVAC. Front room of 902 S. Shelby before we got to work. HVAC went out of the back of 900 immediately on purchase. Kitchen came with some (disassembled) cabinets. One of our tenants, St. John's Center for Homeless Men, found us a bunch of chairs. I recommend Eric Bock as a contractor. Very reliable and detail-oriented. Good guy, too. Sarah and Will checking out the move-in progress. Taking off the plywood from the windows was a real thrill for me. Then, we bought about $1,000 worth of cubicles. And put them together over New Year's Break 2015-2016. Thanks, Bryan Burns! The family that spackles together, cackles together. 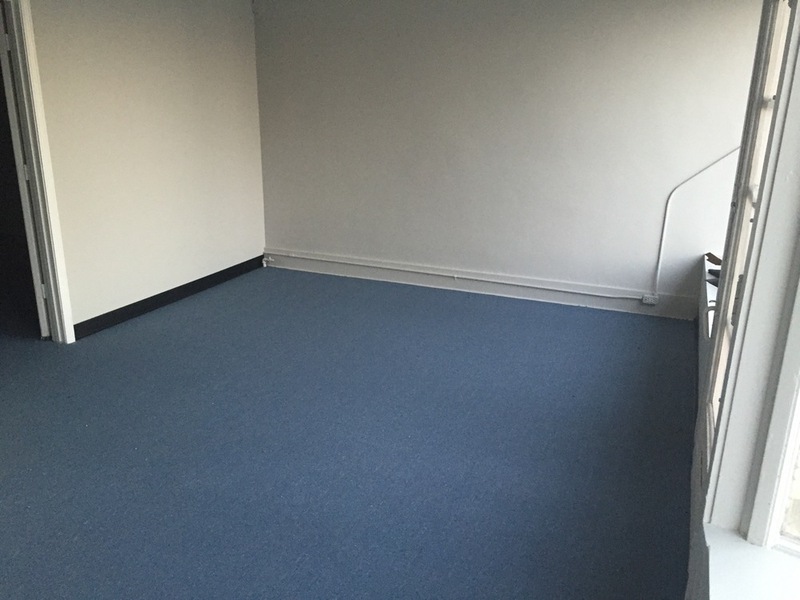 Then, we turned to replacing some carpeted floors with hardwood. Slight improvement over the mauve. Took down the barbed wire, too. Enclosed the stairwell with glass. Gamechanger. A car hit the side of the building. But it was cool because Bill Disney put a door between 900 and 902 S. Shelby while he was repairing the damage. Like, a pretty legit workstation. Conference room looks a little different. The Supreme Court of Kentucky just handed down an opinion in a case, Shinkle v. Turner, that likely speaks to tenants across the Commonwealth. The procedural history of this case reads as cynical as it does familiar. A Boone County landlord (Mr. Turner) filed an eviction against his tenant (Mr. Shinkle) eight (8!) days after sending him a notice of lease termination. Landlord-tenant law in the Commonwealth is not uniform, but the relevant law in Boone County required 30 days written notice of termination of a lease before a landlord could file an eviction. Mr. Shinkle fought the eviction, through his attorney, Peter Nienaber with Legal Aid of the Bluegrass, and filed a motion to dismiss. However, instead of dismissing the action, the court merely continued the case for the requisite 30 days. The trial court's action doesn't fit with either the letter or the spirit of the law. Tenants have a right to due process, and many if not most do not have the time or money to fight evictions. Moreover, Section 8 and other rent-assistance programs will deny future payments to evicted tenants. Short circuiting the process like the trial court did in this case puts tenants in danger of losing their homes with little time to find a new one. Tenants in government assistance programs may not keep their eligibility for the program, let alone find new housing on short notice (8 days!). It's long past time that the Kentucky legislature passed a uniform statutory scheme for landlord tenant law in the Commonwealth. Fortunately, a uniform scheme already exists and has been adopted in several jurisdictions across the Commonwealth: the Uniform Residential Landlord Tenant Act ("URLTA"). The URLTA was created with the rights of both landlords and tenants in mind, and strikes a balance between the parties to ensure expeditious transfer of possession of the leased property while providing tenants a nontrivial amount of time to find alternative housing. Unfortunately, it is an opt-in scheme in Kentucky, so its coverage is spotty, leading landlords and judges and tenants to scramble to understand the parties' rights--even decades later. We here at Ben Carter Law, PLLC, support the efforts of the Homeless and Housing Coalition of Kentucky and the other members of the Healthy Homes Coalition to have the URLTA passed as state law. On the linked website, there is a petition to sign to join in their efforts. If this matters to you as well--and I believe it should matter to all Kentuckians--please take the time to sign their petition. 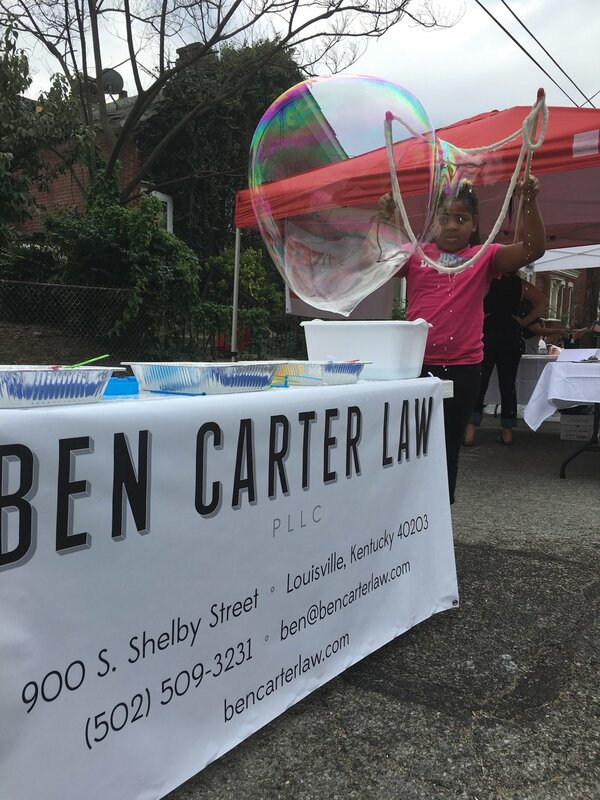 In July of 2015, we moved Ben Carter Law from downtown Louisville to the neighborhood of Smoketown. When I worked with the Network Center for Community Change, we did a lot of work in Smoketown and we are thrilled to be in the community each day now. 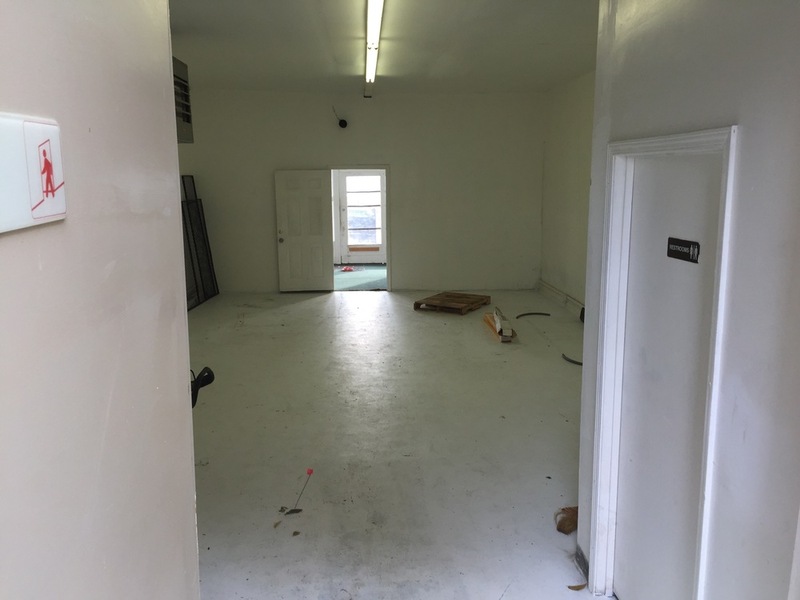 Now, after almost a year, the plywood is off the windows, the floors are sort of clean, and our offices are almost full of great people, businesses, and nonprofits. Come celebrate with us, check out our space, and make some new friends. Think of this as a great excuse to head out of the office a little early on May 13. The party starts at 4:00. Please RSVP to the Facebook invite (or, if you're not on Facebook, contact me) just so that we can try our best to get the food and drink right. We'll post updates to food and drink once we get caterers/food trucks dialed in. The Facebook event is public, so feel free to invite your friends. We have worked hard to find great people to share the offices at 900 and 902 South Shelby Street. We have a great mix of businesses, nonprofits, artists, and one political candidate. We don’t do the same kind of work, but I like to think we’re all pulling in the same direction. Here are the businesses, organizations, and people using the space at 900 and 902 South Shelby Street. Come meet them on May 13! Smoketown’s efforts to advocate for a change in the basin design of the Logan CSO Interceptor Project took major steps forward last week. For the Smoketown community, this is a crucial issue of environmental, racial, and economic justice. 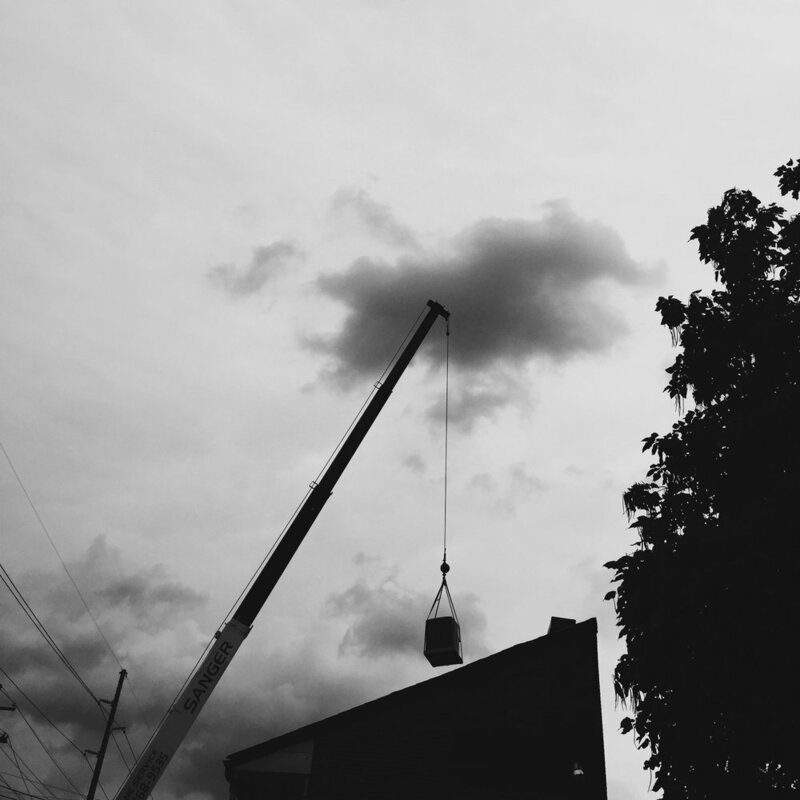 At stake is whether the community will be blighted by a structure covering a city block built by MSD or whether MSD will bury its facility and provide much-needed greenspace to the Smoketown community above its facility. To recap: the Logan CSO Interceptor is one of a dozen basins Metropolitan Sewer District is constructing around Louisville to capture Combined Sewer Overflows (CSOs) during heavy rain events. These basins are part of MSD’s effort to comply with a consent decree it entered into with the EPA to reduce pollution of the Ohio River. At every other site where it is environmentally feasible to bury the basin below ground, MSD is doing just that. However, MSD designed the Smoketown basin first and—by its own admission—failed to do the outreach necessary to get community input and engagement in Smoketown and designed the Smoketown facility as a block-long, windowless brick structure. This, instead of the greenspace being provided to other neighborhoods above the CSO facilities. For more information on the history of the project and the design, you can read the Smoketown community’s letter to MSD it delivered last week, copied in full below. Led by Rev. Williams, residents, business owners, advocates, and allies met the following day. From that meeting, we have written a letter to MSD inviting its Executive Director and Board to another community meeting to “outline a process going forward in which MSD and the Smoketown neighborhood can work together to ensure that the Logan CSO Interceptor Project is a) completed in a timely manner and b) constructed in a way that treats the Smoketown neighborhood with the same respect and dignity provided to the other neighborhoods in which you are constructing CSO projects”. It is our hope that from Wednesday’s meeting, MSD leadership will commit to redesign the Logan CSO Interceptor Project now, before it is too late. So, what can you do to help Smoketown get the same treatment as other communities? Sign the petition at smoketownvoice.com This is a website we have set up to advocate for equal treatment of Smoketown by MSD. Help share the petition and the Facebook page on your social media networks! Re: Upcoming community meeting for Logan CSO Interceptor Project; March 23 at 6 p.m.
We are writing today on behalf of ourselves, our congregations, our members, our businesses, and our neighbors in the Smoketown neighborhood. We would like to invite you to a community meeting at Bates Memorial Baptist Church on March 23 at 6 p.m. At this meeting we hope to discuss with you our vision for the Logan CSO Interceptor Project and outline a process going forward in which MSD and the Smoketown neighborhood can work together to ensure that the Logan CSO Interceptor Project is a) completed in a timely manner and b) constructed in a way that treats the Smoketown neighborhood with the same respect and dignity provided to the other neighborhoods in which you are constructing CSO projects. meet with our community again on March 31 to create a process with timelines to provide the community an opportunity to comment on and participate in the approval of preliminary designs of an at-grade basin and engage in the design of the land above the facility for the mutual benefit of MSD and the Smoketown neighborhood. While for MSD the Logan CSO Interceptor Project may only be one step in complying with the Consent Decree it entered into with the Environmental Protection Agency, for us, this is an issue of environmental justice, of racial justice, and economic justice. You plan to build a windowless, block-long building in our community while planning to buildunderground structures in other communities around Louisville in which it is environmentally feasible and to provide those communities with much-needed green space above the structure. The disparity in your plans for Smoketown and other Louisville neighborhoods is unjust and unacceptable. It is not too late to make it right and we want to work with you in that effort. At a community meeting on November 16 at Coke Memorial Baptist Church, Smoketown residents, businesspeople, and allies gathered to hear from MSD’s Executive Director Tony Parrott. Mr. Parrott, responding to the dissatisfaction from Smoketown residents, admitted that the Logan project "did not have a good rollout" and lacked "community engagement". The Logan CSO Interceptor was the the first of the twelve CSO structures to be designed and built, Mr. Parrott explained, and he apologized for not developing good partnerships with Louisville Metro and for failing to get community input at the outset on the design of the building. During the course of the meeting, we learned that after receiving input from other neighborhoods on their CSO Interceptor projects, MSD decided to bury each of the other 11 structures at grade. It was clear from the comments made by neighbors at the Smoketown meeting that an at-grade structure was their preferred design, as well. MSD had studied the possibility of doing this for the Logan CSO Interceptor project and determined that burying the facility at grade would have cost an additional $4,000,000. As a concession to the neighborhood, MSD offered the Smoketown community the opportunity to weigh in on the design of the facade of the building. MSD explained that it would agree to allow the community to spend $700,000 that was previously budgeted for bricks on some alternative facade of which the community approves. On January 28, 2016, community members met with De Leon & Primmer, the architects hired by MSD to revise MSD’s plans for the Logan CSO Project. The overwhelming consensus at that meeting (like at the November 2015 meeting) was that the community was not interested in having an above-grade building on the site. Instead, we submitted to MSD several visions for the green space above an at-grade facility. The community members hoped that MSD would review the plans generated at the January 28th meeting, recognize the injustice it was perpetrating in the Smoketown community, and amend its plans accordingly. Instead, the next meeting MSD scheduled was the “Logan Street CSO Basin Facade Design Meeting” for this past Wednesday, March 16. At the meeting, the proposed agenda was to hear from Executive Director Parrott, review the design proposals for the facade as conceived by DeLeon and Primmer, and then break up into small groups to further discuss the architect’s proposals for the facade. In other words, the entire meeting was structured to preemptively reject this communities’ repeated demand for an at-grade facility, circumscribe the discussion to preclude the expression of any preference for an at-grade facility, and treat the construction of an above-grade facade as an inexorable truth. As Pastor Williams said, “It’s your mistake, but we have to live with it, and I can’t accept that.” Despite hearing clearly from this community that your plans are unacceptable, you are continuing to construct an unfair building that will blight our neighborhood and stand as an insult to the Smoketown people. The neighborhood of Smoketown agreed with Pastor Williams who said, “You cannot decorate an insult” and hundreds of neighbors, businesspeople, and allies walked out of that “facade design” meeting. A link to Pastor Williams’s full comments are available at http://smoketownvoice.com This is a website we have created specifically to advocate for an at-grade basin at the Logan CSO Interceptor site. Wednesday’s meeting was not productive. We will not participate in decorating an insult. We hope you will meet with us this Wednesday to discuss how we can go forward together in a way that simultaneously honors both MSD’s commitments under the Consent Decree and the dignity and integrity of the Smoketown neighborhood. It is not too late to alter the design of the Logan CSO Interceptor Project to bring it in line with the other CSO basins you are building in other communities around Louisville. However, we understand that time is of the essence. That’s why we hope to meet with you on Wednesday. Will changing the design of the Logan CSO cost more money? Yes it will. From our perspective, this is a problem for MSD to solve, not the Smoketown community. Will changing the design require more workers and potentially increase the duration of the project? Almost certainly. This, again, is on MSD. MSD has already admitted that it did not do the proper community outreach and engagement in the Smoketown neighborhood when it designed this basin. MSD has admitted its process was flawed. That flawed process led to MSD to decide—without community input—to save $4,000,000 on the Logan CSO Interceptor. After it got input from other communities, it learned that its decision at the Logan site was wrong and invested in more expensive projects in the 11 other neighborhoods. Yet, MSD has not returned to Smoketown to fix its $4,000,000 mistake. We want to work with MSD to make the Logan CSO Interceptor Project work for both MSD and the Smoketown neighborhood. Please join us at on March 23 at 6 p.m. at Bates Memorial Baptist Church. From there, we hope you will commit to seek board approval on a resolution to build an at-grade basin in Smoketown on March 28th. Then, on March 31st, we can meet again to chart our way forward so that the community can quickly approve preliminary and final plans for the revised project. We know you have work to do under the Consent Decree. We are committed to working with you to fix this project quickly. If we do not see these positive steps from MSD, we are preparing to insist on the design changes through direct action, political engagement, litigation, community education, protest, and activism. This is not our preferred path. We would prefer to work in concert with MSD and create a win‑win outcome for our neighborhood and MSD. Please call Bates Memorial Baptist Church(502-636-0523) and let us know if we can expect you at our community meeting next Wednesday. We look forward to welcoming you then and working with you during this redesign process. "If rents rise alongside incomes, what progress is made?" 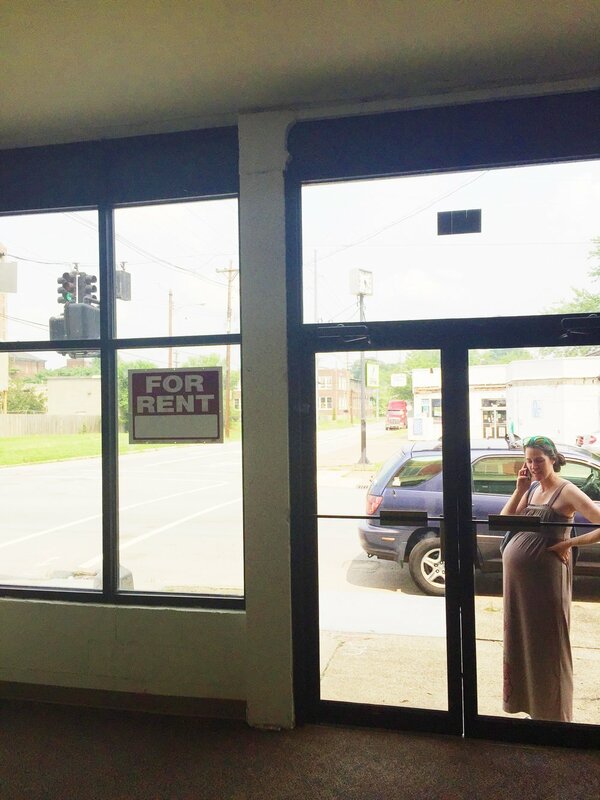 One of the most rewarding (not financially) areas of work we do at Ben Carter Law, PLLC is helping tenants a) avoid eviction or b) get evicted with a little more grace, dignity, and certainty. This is a great article on the struggles of low-income tenants and the benefits and do-ability of expanding housing assistance to all Americans at the bottom 30% of income. As far as I can tell, Louisville's Metropolitan Sewer District owes Smoketown at least four million dollars. Let me tell you why. On November 16, I went to a community meeting about a building Louisville's Metropolitan Sewer District is building in Smoketown. It's called the "Logan CSO Interceptor Project". CSO stands for "combined sewer overflows. The "CSO Interceptor Project" is a fancy way of saying "catching the wastewater and stormwater before it flows into the Ohio River". The site of the Logan CSO Interceptor under construction. This might be a park but current designs call for a two-story brick building. The Logan CSO Interceptor is one of twelve CSO interceptors being built around the city. It's part of MSD's effort to comply with the Federal Consent Decree it entered into with the Environmental Protection Agency after the EPA found Louisville to be grossly and repeatedly out of compliance with the Clean Water Act. Each of the other 11 buildings are being built "to grade". This means that the structure will actually be buried below ground and a park will exist on top of the building. However, the Logan CSO Interceptor will be a block-long, windowless, two-story building in a part of town that desperately needs green space. Aside from feeling the blasting each day from the project in my law offices (one block west of the Interceptor), this November 16 meeting was my first exposure to the project. At the meeting, it was clear that neighborhood sentiment was strongly against the project. The meeting opened with remarks from MSD's new Executive Director, Tony Parrott. Mr. Parrott, responding to the dissatisfaction from Smoketown residents, admitted that the Logan project "did not have a good rollout" and lacked "community engagement". The Logan CSO Interceptor was the the first of the twelve CSO structures to be designed and built, Mr. Parrot explained, and he apologized for not developing good partnerships with Louisville Metro and for failing to get community input at the outset on the design of the building. During the course of the meeting, we learned that after receiving input from other neighborhoods on their CSO Interceptor projects, MSD decided to bury each of the other 11 structures at grade. It was clear from the comments made by neighbors at the meeting that this was their preferred design, as well. (Imagine preferring a block-sized park to a two-story windowless brick building.) MSD had studied the possibility of doing this for the Logan CSO Interceptor project and determined that burying the facility at grade would have cost an additional $4,000,000. As a concession to the neighborhood, MSD is now offering the Smoketown community the opportunity to weigh in on the design of the two-story facade of the building. MSD has agreed to allow the community to spend $700,000 that was previously budgeted for bricks on some alternative facade of which the community approves. This is a completely outrageous and unacceptable "concession" from MSD. It provides no new money to a project that by MSD's own admission was created without community engagement and asks the community to sign off on shortchanging the Smoketown community of at least $4,000,000. 2) offering at least $4,000,000 (the money it skimped on for the Logan CSO Interceptor) to the Smoketown community to use to change the design of Logan CSO Interceptor or devote to other community purposes (like securing other greenspace that the community will no longer have because of MSD's design and community outreach failures). Given MSD's admitted shortcomings in its design and community engagement processes, MSD's decision to save $4,000,000 on its facility located in Smoketown can only be seen as shortchanging a neighborhood that is already all-too-familiar with shortchanging. That MSD expects Smoketown residents to be satisfied with a resolution that offers no new money but exchanges brick for some other veneer, is an insult to Smoketown. Tonight is the first meeting for residents to sit down with the designers MSD has engaged to redesign the facade of MSD's building. There are already some useful ideas about how the facility can be improved. As the redesign process kicks off, I hope participants from Smoketown will use the "redesign process" to insist that MSD invest the $4,000,000 it siphoned away from the Smoketown community back into the community. Whether the residents want to invest the $4,000,000 into the redesign of MSD's building or insist on that money returning to the neighborhood in the form of a grant to the Smoketown Neighborhood Association is, as far as I'm concerned, up to the residents of Smoketown. MSD has admitted its process was flawed. That flawed process led to MSD to decide —without community input—to save $4,000,000 on the Logan CSO Interceptor. After it got input from other communities, it learned that its decision at the Logan site was wrong and invested in more expensive projects in the 11 other neighborhoods. Yet, MSD has not returned to Smoketown to fix its $4,000,000 mistake. I urge Smoketown residents participating in the redesign project to insist that MSD reinvest into Smoketown the $4,000,000 it mistakenly decided not to spend on our neighborhood. 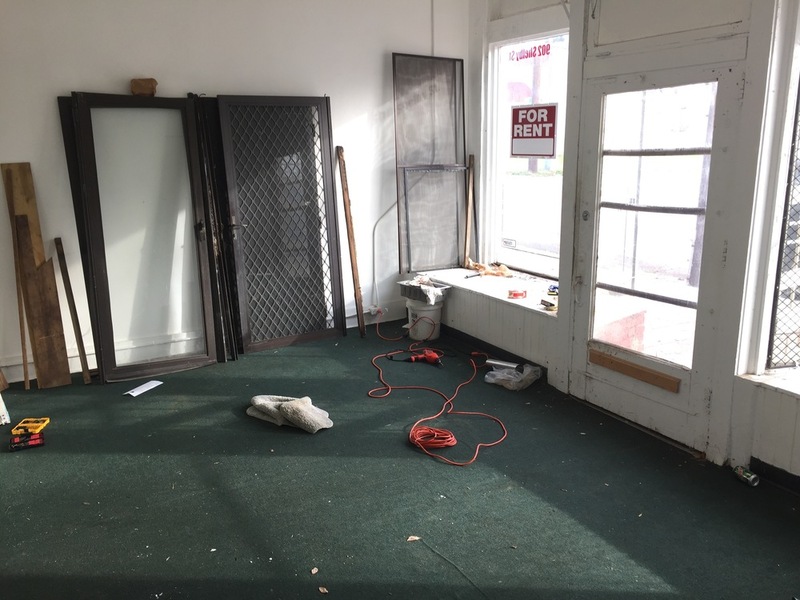 Well, in two separate incidents on Wednesday and Wednesday night, Ben Carter Law had a laptop (mine) and TV (ours) stolen from our storefront. Huge bummer. But: we were able to erase the data on the computer remotely and restore from a recent backup when I got another computer on Thursday. I'm telling you this so that you can plan ahead so that a lost or stolen computer doesn't derail your practice. If you are in the Apple ecosystem, make sure your devices are signed up for the "Find My iPhone" service. This allowed me to lock and erase the stolen computer within minutes of its theft. It also allowed me to trace its location to one of two houses not far from our office. Second—and I can't stress this enough: keep recent backups in separate physical locations. I also use BackBlaze to backup to the cloud. An off-site backup and cloud backup: this is the "belt-and-suspenders" approach to backup that your data deserves. With a recent backup and cloud storage of our files, I lost no data and almost no momentum in what could otherwise have been a crushing loss. Needless to say, we're getting some extra security for the office. We actually have good information on who stole the computer. When things go missing around this time of year, I always point the finger first at these two. So, while I'm hopeful that we might recover the computer at some point, the TV is like dropping your keys into a river of molten lava. Man, it's gone. The husband of one of my favorite clients of all time passed away this week. She texted to tell me the funeral arrangements, so I went. At the funeral, both she and her son expressed profound gratitude for our help in negotiating the the mortgage company an alternative to foreclosure. They explained that our help allowed their dad and husband to spend his final months in the comfort of his home and with the knowledge that the home was secure from the threat of foreclosure. At my firm, we are confronted daily with a lot of injustices and requests for help from a lot of people. This funeral was a much-needed flotation device in a swirling flood and was a reminder to me that it is not our job to fix every problem. It is only our job to fix the problems we can. Everything else is up to that higher power. I was happy to learn this week that Peter Brackney has set up his own practice in Lexington. Peter is a great guy to follow on Twitter and will be working in the areas of consumer bankruptcy, business law, and estate planning. My friend and an attorney I admire a lot, Greg Belzley, was quoted in the Herald-Leader this week in a story about the state's failure to supervise the medical providers with which it contracts to provide care to Kentucky's prisoners. The situation is appalling and Greg is one of the leading advocates—inside and outside the courtroom—to change the callous, uncaring, inhumane treatment these human beings receive. Greg is a shining example of the good work a person of conscience can do when armed with a law license. We should all take a note. I'm going to begin posting weekly digests of things I learn and discover. Some weeks, it will be heavy on the law, other weeks, it will be podcasts, TV shows, videos, or sermons that resonated with me. If you want to, you can sign up to receive these weekly posts in an email. The best thing I saw this week was this video of John Cleese talking in the 80s about what he and scientists have learned about giving yourself the best chance at having creative thoughts. I think lawyers don't work hard enough or give themselves the permission they need to have the time and space necessary for creative work to happen. I learned a lot from this talk. For me, Evernote held a lot of promise for being that one spot that everything—legal research, news articles, recipes, etc.—lived. But, I was never able to figure out how to incorporate that promise into my everyday workflows. If you, like me, are considering getting away from Evernote, you can import all of your notes into Apple's Notes app using this script from Larry Salibra. Pretty nifty. You lose your tags, but they are still searchable as text placed at the end of each note. Like I said, pretty nifty. Here's picture of my kid being cute in his duck towel. I recently got a few locking file cabinets that didn't have the keys to the locks. I disassembled the lock cores from the cabinet and was preparing to order new lock cores when I noticed a few letters and numbers etched into the front of the lock cores. I googled those letters and numbers. Turns out, you can just use that letter/number combo to buy replacement keys for filing cabinets and cubicles. I ordered mine from easykeys.com and they arrived quickly via FedEx. I learned about a couple of good decisions from a Kentucky federal court and the Kentucky Court of Appeals on debt collection abuse and the Fair Debt Collection Practices Act (FDCPA). In Harrell v. Unifund CCR Partners, the Court of Appeals followed the Sixth Circuit Court of Appeals's reasoning in Stratton v. Portfolio Recovery Associates, LLC 77- F.3d 443 (6th Cir. 2014) to hold that if a creditor charges off an account and waives its right to collect interest under the contract with its customer, a third party debt collector cannot seek prejudgment interest without also violating the Fair Debt Collections Practices Act. Important stuff. The other case I learned about was Grace v. LVNV Funding, Inc. 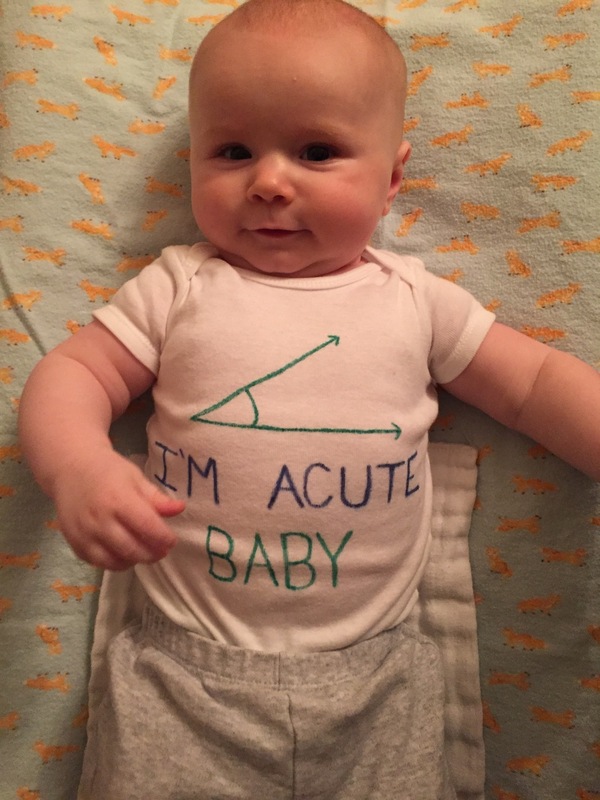 Essentially, Judge Heyburn ruled that a medical provider's 1.5% per month "service charge" on accounts more than 90 days delinquent was, in fact, not a "service charge" but was instead interest in excess of the 8% rate allowed by law. Because the interest rate was usurious, LVNV Funding violated the Fair Debt Collections Practices Act when it demanded payment on an amount of money that was more than what was allowed by law. Rick Vance at Stites and Harbison wrote a good summary of the impact of Grace on Kentucky's businesses and their collection practices. April 15th is fast approaching and that means that telephone scammers are out in force trying to scare you into giving them money, or worse, enough personal information to steal your identity. Generally speaking, whether a phone call is a scam can be hard to determine. Not so when it comes to IRS impersonators! "If you are surprised to be hearing from us, you are not hearing from us," Koskinen said. "Our way of contacting you is by letter." "The last thing you'll ever hear from an IRS agent of any kind is threats that we are about to throw you in jail unless you pay us immediately or put money into a particular account," he said. So remember, even if they know your name, your telephone number, and the last four digits of your Social Security Number, it's not the IRS calling you. The IRS has made it easy for you. Be sure to tell your friends and family members, especially if they are elderly. Ben Carter Law is upgrading its technology, which is a fancy way of saying I'm getting a new computer. Ergo, I'm selling my mid-2011 11" MacBook Air. When I bought it, I maxed out the processor (1.8 gHz), RAM, (4 gig) and hard drive (256 gig), so it is still plenty fast for web browsing, word processing, email, and other common tasks. I'm updating because my computer is the primary tool I use to do my job and so having the newest, fastest, best makes business sense. New, the computer was $1,700. I'm asking $700. Technical specifications for the mid-2011 11" Macbook at Apple.com.